If you keep track of attendance by sign-in and sign-out time, you know how many hours it can take to manage the records. 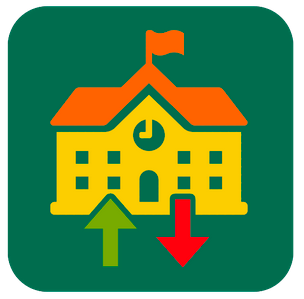 With the QuickSchools Sign-In/Sign-Out app, you can find other things to do with all that time - the app give you a simple and smooth system for managing student and parent timelogs for when everyone arrives at school and when they leave at the end of their day. And, with a built-in Parent Pin system, you can allow parents to sign themselves and their kids into school by themselves - freeing up even more time and effort for you to focus on the most important things at school. The Sign-In/Sign-Out App automatically tracks the time students and parents sign-in and sign-out, so you can be sure the time is just right. Plus, with the option to add comments to time records, you and the parents can keep track of the purpose of any specific check-ins, as needed. In addition, parents’ personal sign-in pins are confidential, generated automatically, and managed within the app, making them easy for you as the administrator to implement for your parents. Security is about more than details, though. To make sure that your QuickSchools admin data is completely safe (especially considering that so many people will be using the same computer for this app), we’ve put measures in place to make sure that the personal information of parents is completely confidential within the app. Parents need not worry, and neither do you. Even more, we’ve added a critical step when going in and out of the app - in order to exit it and return to the admin’s account, users will have to enter the password for that administrator’s login. We know that fancy features aren’t worth the cost without being secure and dependable, which is exactly why we’ve put as much effort into making sure that Sign-In/Sign-Out is completely reliable. Not only is the Sign-In/Sign-Out app dependable for managing times automatically, it has a number of features that help to you manage more complex situations easily. The history section allows you to see and search your entire timelog, as well as sign-in students or manually enter past hours. With the parent pin sign-in system, you can manage it yourself or set it up on a computer or tablet by the door and have parents enter their information by the themselves. Plus, you can choose which parents are allowed to sign-in by themselves, allowing for different systems for different grade-levels or other groupings. Want to try the app? Give the Sign-In/Sign-Out app a try today! To get started, chat in or head over to the QuickSchools app store and check out the School Apps section. It’s a snap to install. Have fun! We think you’ll love the added convenience and security that this app offers, but if for some reason you don’t, no worries. With a free 14-day trial, you can try out the app before purchasing to make sure you get exactly what you want.